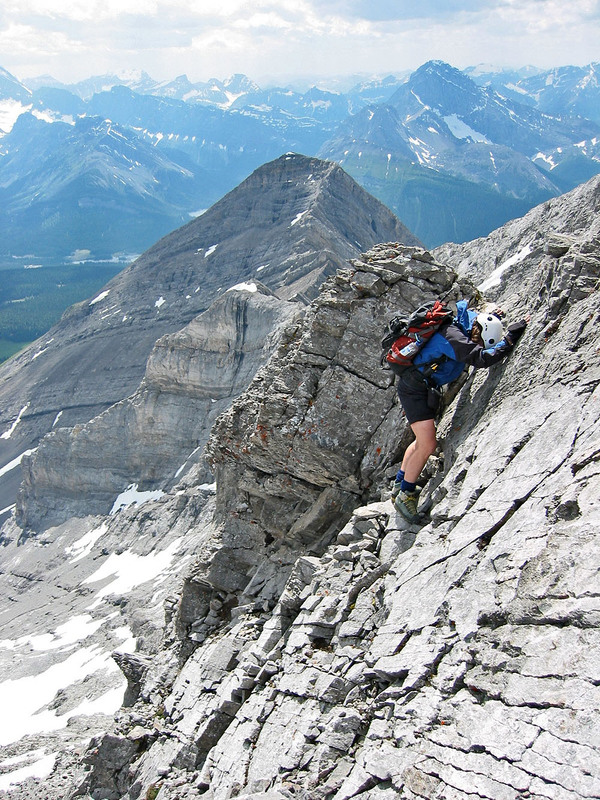 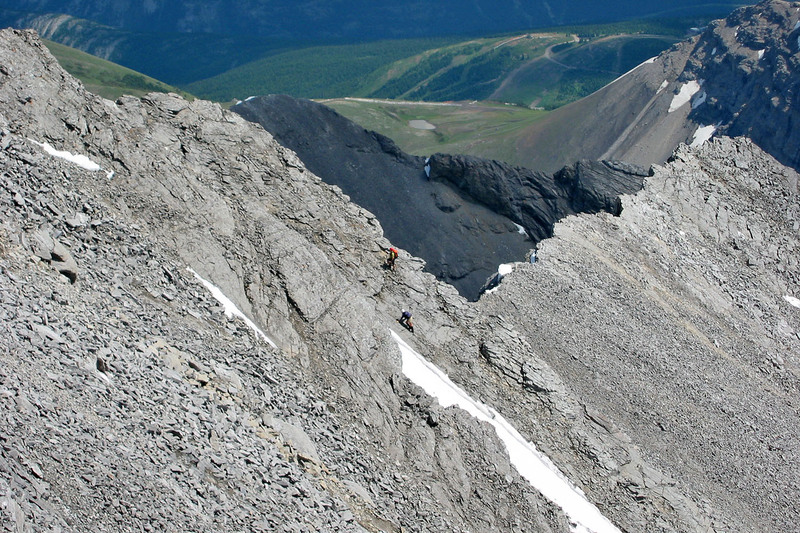 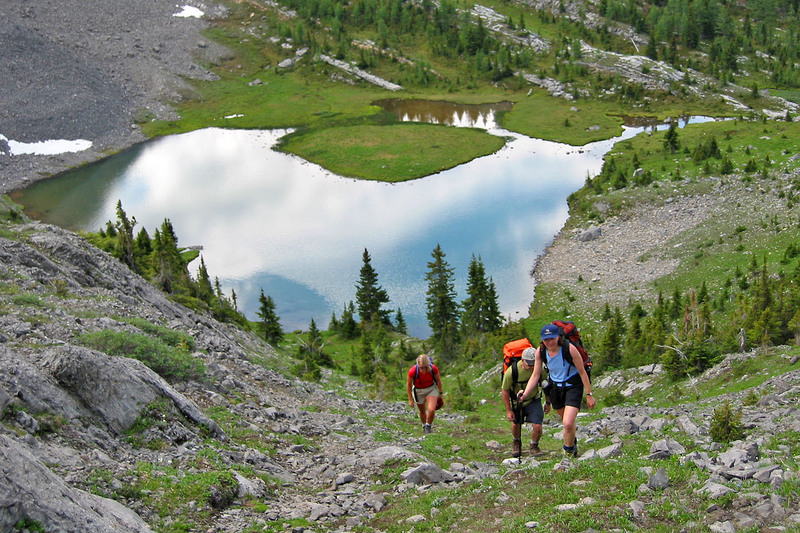 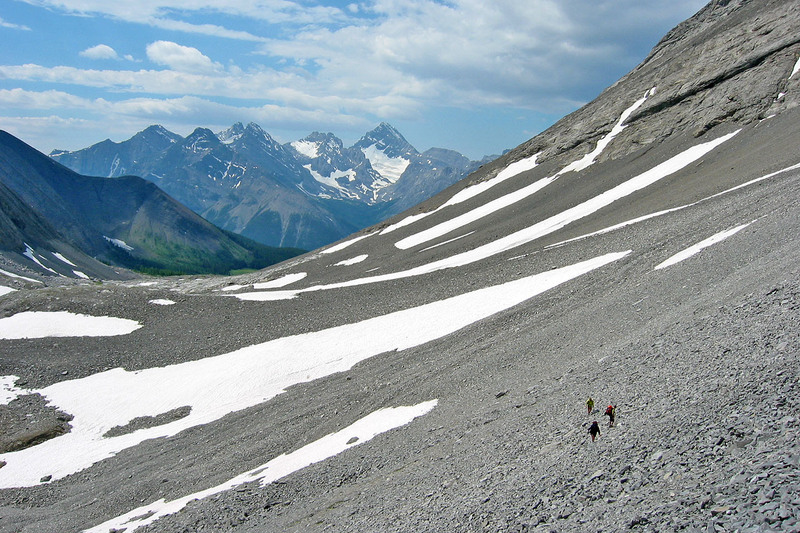 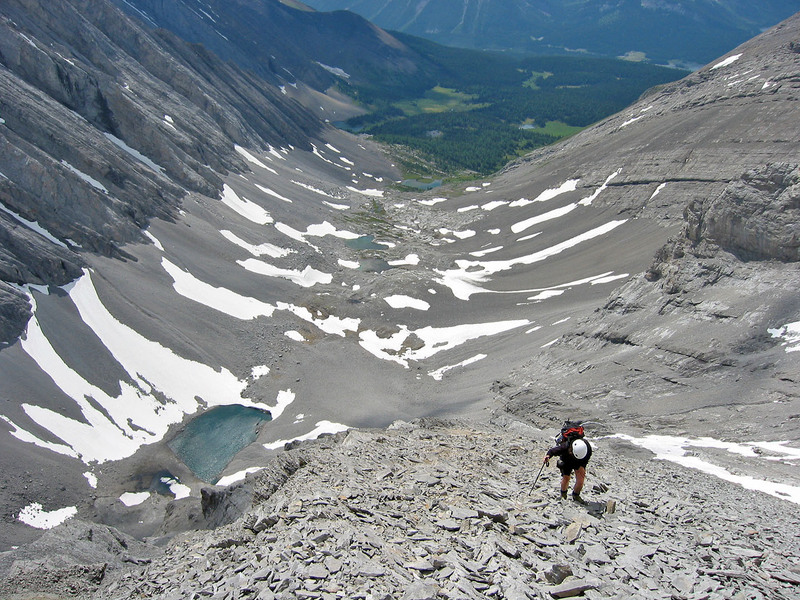 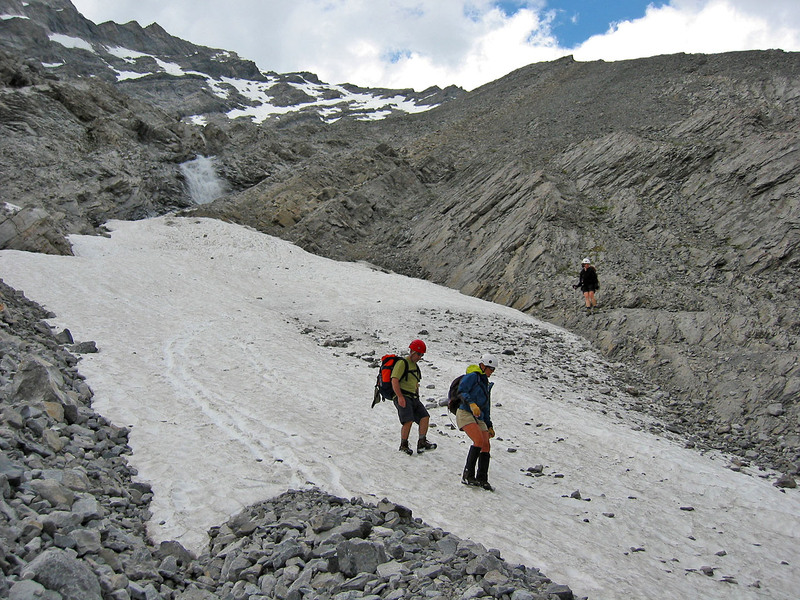 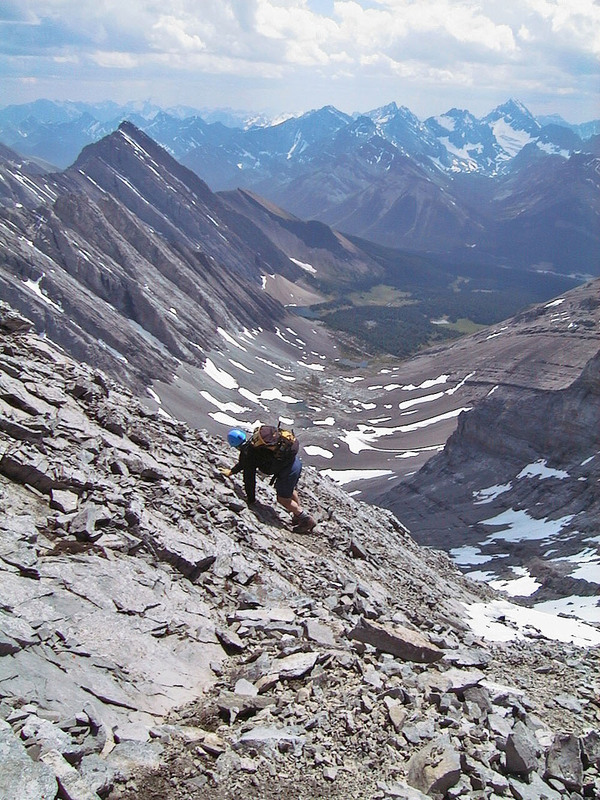 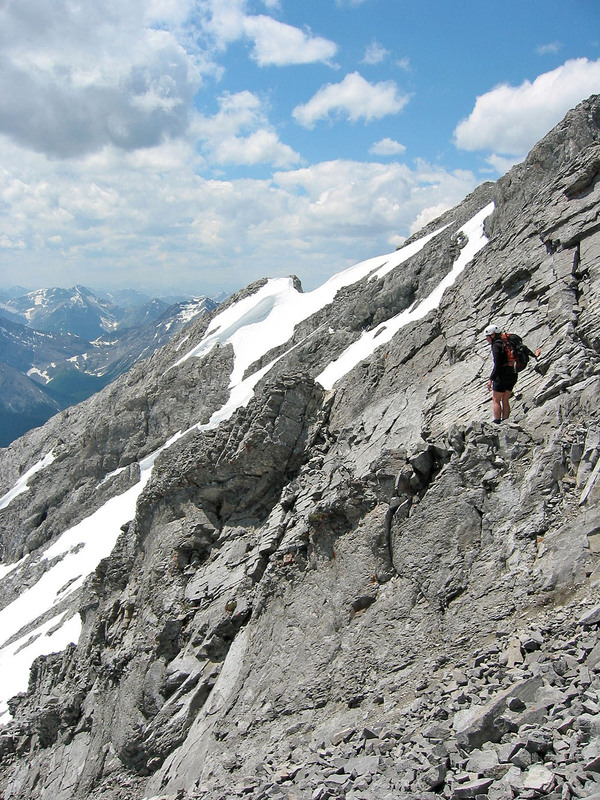 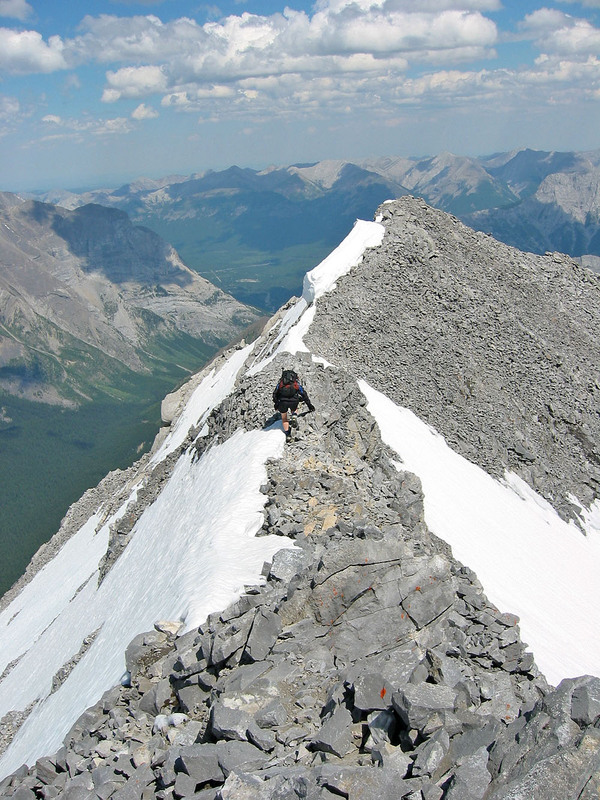 Mount Galatea offers some Interesting scrambling near the top, but it's a long haul to get to it. 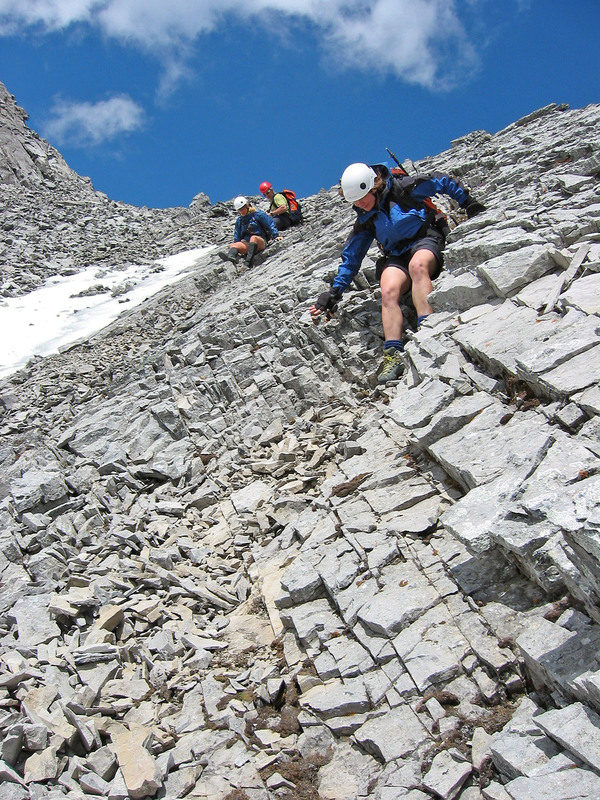 Once the scree slog is over, we reached a point just below the ridge where we faced the first of a few obstacles en route to the summit. 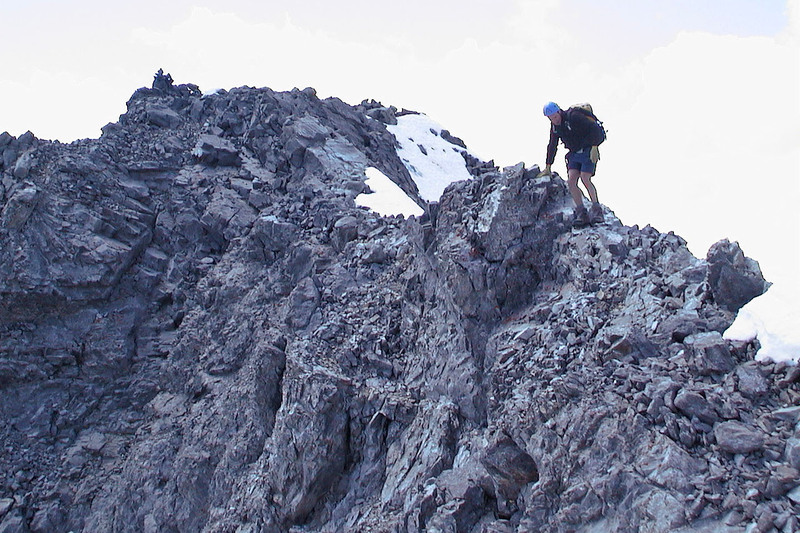 To surmount them, we stayed below the ridge crest until just before the summit. 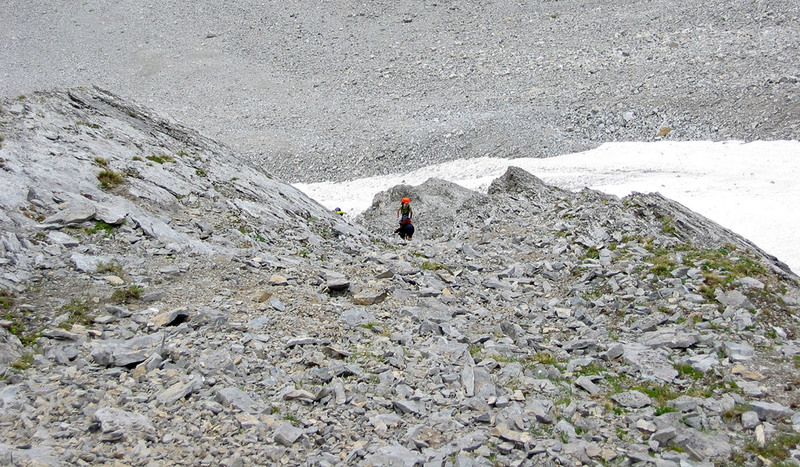 The route-finding was more challenging than I expected. 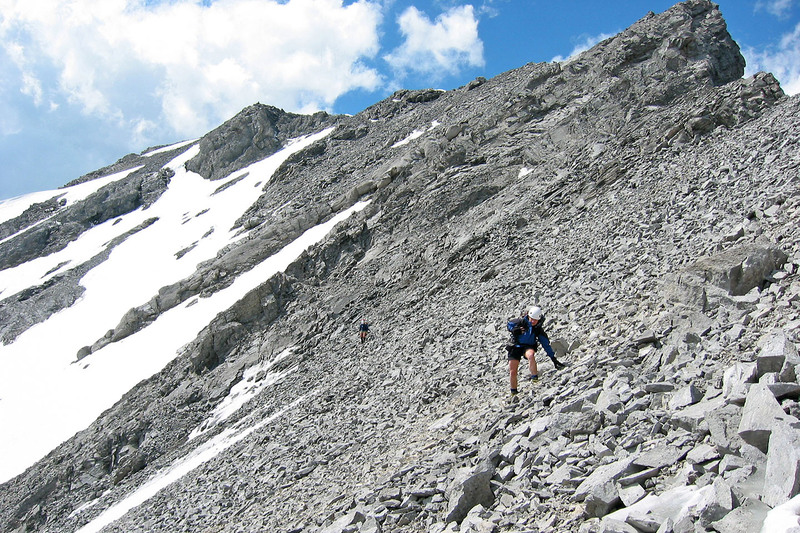 We climbed Galatea in dry conditions, but I can see that in snow or even wet conditions, it would be treacherous on some sections. 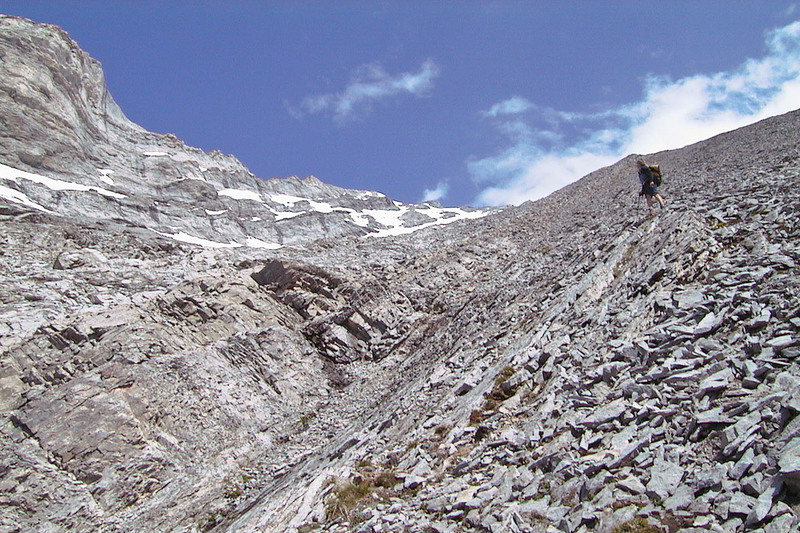 The long climb up a scree slope gives way to the first obstacle. 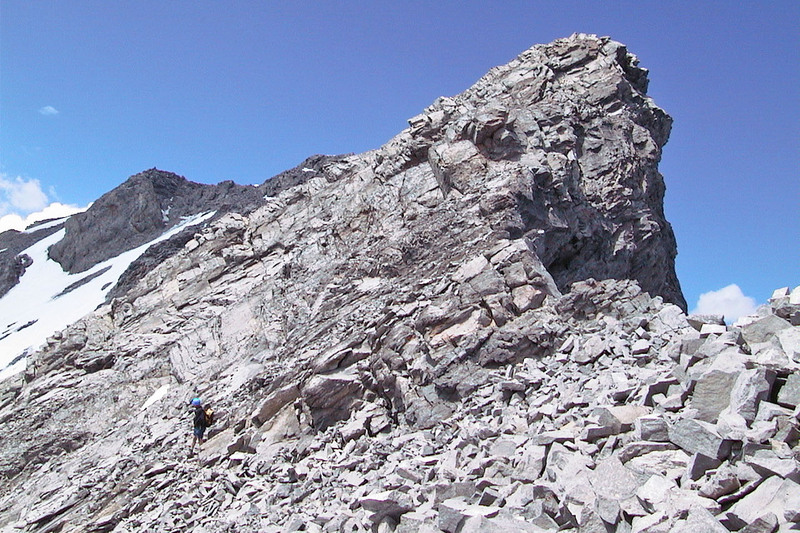 The summit is on the left. 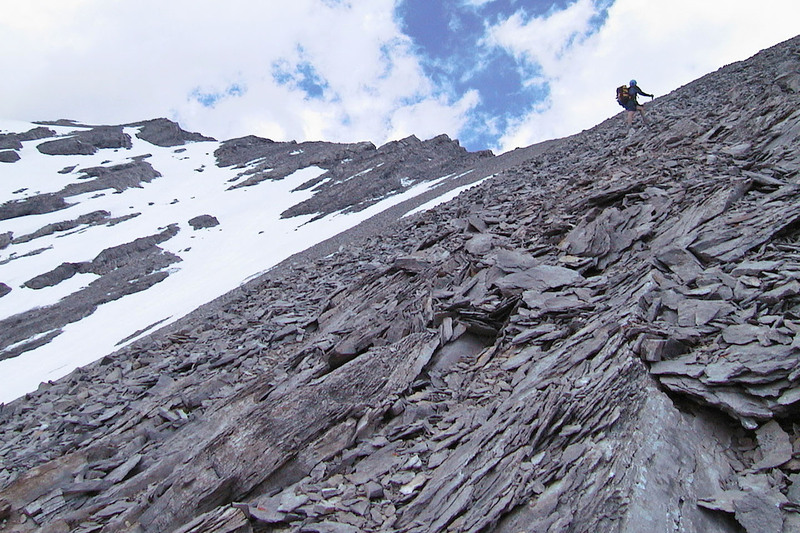 Back on the scree. 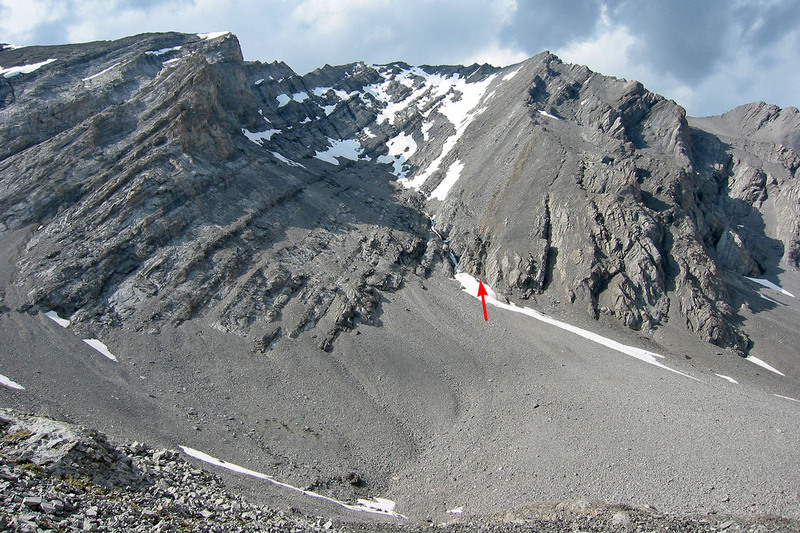 The summit is the point on the left.